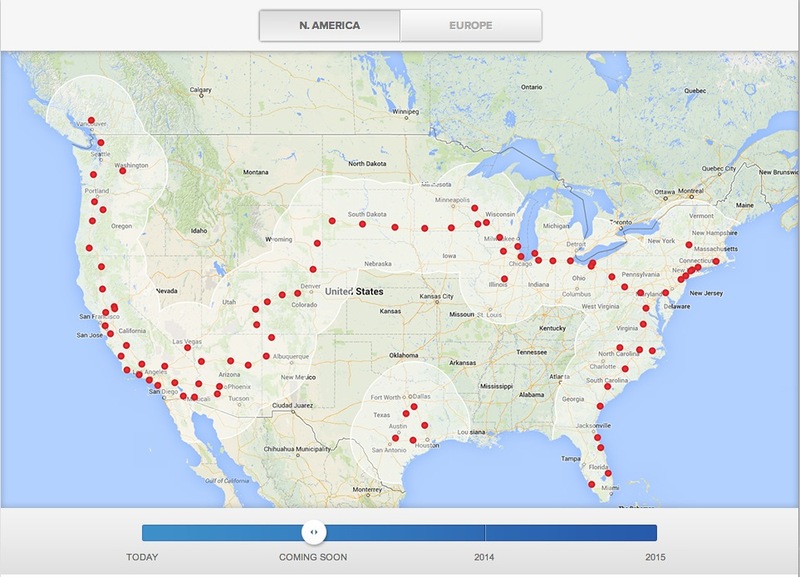 Tesla updated the Supercharger map again this morning and it now appears that all of the major gaps on the east coast (Savannah,Georgia) and the biggest cross country (Macedonia, OH, Wyoming) have been filled and it is now theoretically possible to drive a Tesla from Vancouver BC to San Diego California to Boston Massachusetts down to Miami Florida. Theoretically…if you are very easy on the accelerator. Tesla hasn’t officially announced the milestone yet because that 302 mile Wyoming-Colorado jump is probably too big to drive without some range extending mode happening. The imminent Cheyenne, WY station should cut this to 164 miles. Also the altitude climb here is significant. The Newark, Delaware to Somerset PA is 224 miles and Somerset PA to Macedonia Ohio length is 171 miles so driving to Wyoming from Boston is now pretty doable with a 85kWh Model S.
Tesla’s Q4 financial results, where they are also expected to announce the battery giga-factory would be a good time to mention the transcontinental super(charger)highway. 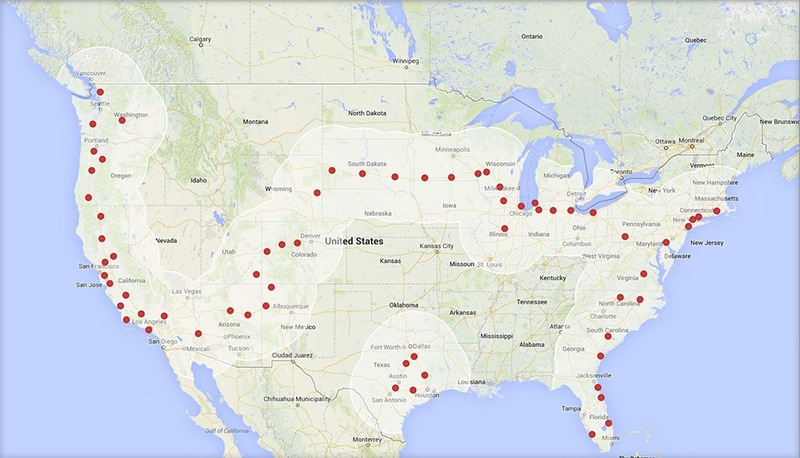 Tesla CEO Elon Musk is going to ride across the country with his 5 kids in March so there’s still lots of time to fill those gaps. 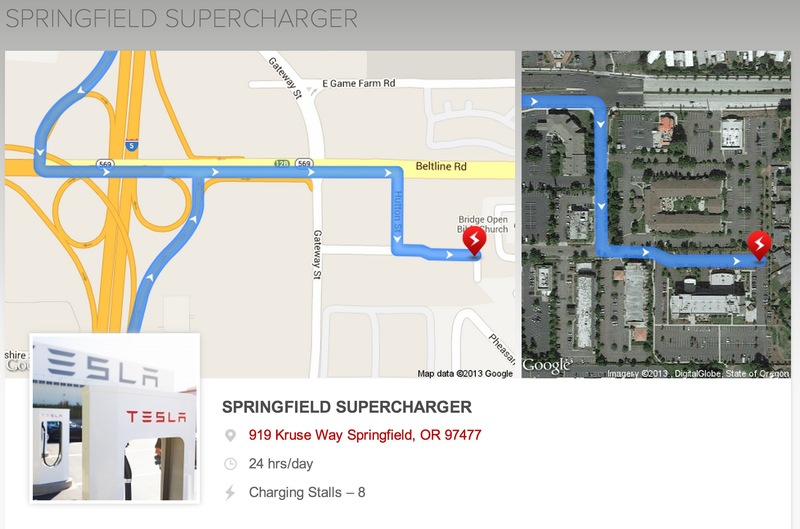 Tesla today officially announced the Springfield Oregon Supercharger had opened thereby allowing Tesla owners to travel the whole West Coast of the US without spending a penny. I had called the thing a bit early last week but Tesla wasn’t ready to give it the green light until the Springfield OR station opened because the distance between the two previous Oregon stations “would be a little bit risky” for 60kWh owners. The new station is a few blocks off the highway, contains 8 stalls and is open immediately.